like many of you, I heart target! i get lost in the aisles of goodies and love their designer series across the board. plus they have the best pomegranate scented candles - yes! 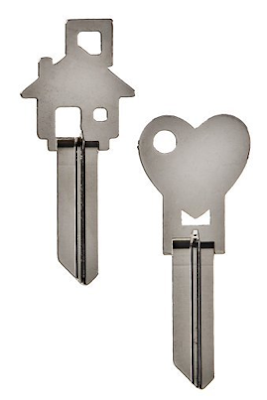 I just spotted these exclusive keys on their site, thought they were super cute and wanted to share with you guys. often overlooked, your key ring is your first step into your small space so add a key ring that makes you happy! 1 Response to "your keys & your small space"